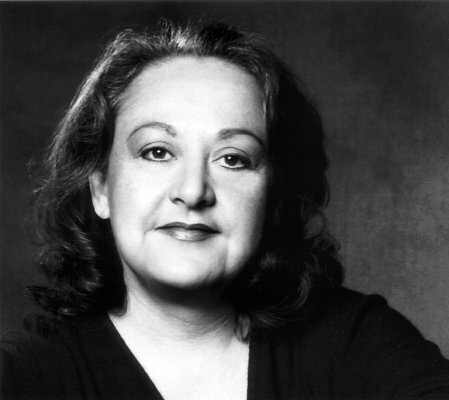 Jill Frappier (Luna) appears as a recurring character in the Canadian television series Life Unjarred as Helene. So far she has appeared in episodes 4-6, 11, and 13. Emilie Barlow (Sailor Mars #2, Sailor Venus #2) will be performing on August 13th at Scene Desjardins in Levis, Québec. She will also be performing on the Harmony Square stage at the fourth annual TD Brantford International Jazz Festival, a free outdoor show which will be running September 16th-18th. Her performance is schedule for 5:00 p.m. on September 17th. In October, fans can see Emilie in Québec and Ontario. She will perform on October 27th in Saint-Hyacinthe, Québec at l’Espace Rona at 8:00 p.m. On the 29th, she will be in Terrbonne, Québec and performing at Salle Desjardins – Le Théâtre du Vieux-Terrebonne at 8:30 p.m. On the 30th, she will be in Burnstown, Ontario, on the Schoolhouse stage at Neat Coffee Shop at 8:30 p.m. In December, she will be in Brampton, Ontario on the first, performing at the Rose Theatre at 8:00 p.m. On the second, she will be in Markham, Ontario, at the Markham Theatre performing at 8:00 p.m. Fans in the United States who would like to hear Emilie’s voice in My Little Pony: Friendship Is Magic, which we previously reported about, can catch the series on The Hub and Canadian fans can find it on Treehouse TV. Vince Corazza (Alan/ Tuxedo Mask #3) appeared in episode 16, “the Magnificent” of the Supah Ninjas TV series, as Mallini the Magnificent. We also have a release date for Rock and Roll: The Movie, which we’ve previously reported about. The US film release date is July 30th, so interested fans can look out for it soon! David Huband (Serena’s Dad) will be appearing in a TV short called Dave vs Death. The comedic short is about a man named David Kane who, on his deathbed, challenges Death to a game of chess. “If Dave wins, his life is spared. For every piece lost, someone he cares about will die.” (description from IMDb). A poster is now available for the thriller film Dream House (see right), which we previously reported will premiere in theatres on September 30th. A trailer is also available, but if you watch past 1:11 it may spoil the plot. You can see David around 50 seconds into the trailer. He’s the police officer on the left. Harvey Atkin (Bumboo/Pox) has reprised his role in Law & Order: Special Victims Unit. The latest episode featuring him as Judge Alan Ridenour was “Delinquent” and it first aired in May 2011. Maria Vacratsis (Negaforce) appeared in episode six of Skins, which we previously reported as including Sabrina Grdevich (Anne/Lizzy/Sailor Pluto #1) in two other episodes. The series is about a group of teenagers in Baltimore. Liza Balkan () is featured in The Drowning Girls which is on stage at the Thousand Islands Playhouse Firehall Theatre, until July 30. Described as “the wettest show you’ll ever see, The Drowning Girls is an acclaimed and highly theatrical mystery based on a real life series of murders called “Brides in the Bath” from Edwardian, England.” (description from Kingston This Week) Showtimes are Tuesdays to Sundays at 8 p.m., with Friday and Saturday matinees at 2:30 p.m. Tickets are available at 1000islandsplayhouse.com. A review of the play is available here. Hi there, readers! Here are some updates about the English language voice actors before I head off to Sakura Con later this week. Spyburbia is a new TV series about a team of spies posing as an ordinary family. The animated series is currently in pre-production. It features Susan Roman (Sailor Jupiter) as the voice of Mom and Vince Corazza (Alan/ Tuxedo Mask #3) as the voice of Jay-R.
Stephanie Beard (Rini #2) has been busy! She appeared in an episode of Darla, a satirical web show, as a “Stacey” (the type of woman that Darla considers unusually cruel and self-centred). The series is about a nerd named Darla who is a serial killer that takes out annoying females in her neighbourhood (description from IMDb). Fans can catch the episode featuring Stephanie here. Stag, a film is set to release on September 25th, 2011 is about a man named Ken Andrews who has been responsible for elaborate hazing pranks at all of his buddies’ stags. Now the time has come for Ken’s stag and he nervously awaits the payback. Stephanie Beard (Rini #2) will be appearing as Mary and Tracey Hoyt (Rini #1) will be appearing as Biker Chris. Sabrina Grdevich (Anne/Lizzy/Sailor Pluto #1) appeared in an episode of The Listener as Sarah Mirtschin. The season premiere episode, titled “Lady in the Lake” aired on February 8th. She also appeared in two episodes of the new teen series Skins as Renée: “Tony,” the premiere episode, and “Eura/Everyone,” which was episode 10. The series is about a group of teenagers in Baltimore. Julie Lemieux (Sammy) joins some of her former castmates in The Cat in the Hat Knows a Lot About That. She appeared in recent episodes as Ziggy, Clarabelle, Grayson’s Mom, and other characters. Dennis Akiyama (Malachite) appears in She’s the Mayor as Mr. Lee, a Korean former spy who guards the mayor, Iris, with his life. The series is about Iris, a 64 year old former principal, who runs for office and surprisingly wins. More details about the show are on the official website. We now have more details for a couple of David Huband‘s (Serena’s Dad) upcoming films. We previously reported that he will be appearing in Running Mates, as Father McDonough and in Dream House, as officer Nelson. Running Mates is set to release this year (no confirmed date yet) and is about two best friends who run against each other for mayor of their home town. Dream House is about “a family who learns of a brutal crime committed against former residents of their new, seemingly idyllic home” (description from IMDb) and is set to premiere on September 30th. David has also made some recent television appearances. He played The Ghost/Joshua Crane in episode 10 of InSecurity, a Canadian comedy about a group of spies. He also played a judge in an episode of Republic of Doyle, called “Don’t Gamble with City Hall,” which was episode 11 of season 2. The Canadian series is about Jake Doyle and his father, who run a P. I. agency in St. John’s, Newfoundland. David Fraser (Grandpa Hino) appears in the comedic series Papillion as Cal, who seems to be a primary character. No description or premiere date available for this series yet, but we will provide more details when possible. Sabrina Grdevich (Anne Granger, Sailor Pluto #1) appeared in When Love is Not Enough: The Lois Wilson Story, as Julia. The biography is based on the true story of the enduring but troubled love between Lois (played by Winona Ryder) and her alcoholic husband Bill (played by Barry Pepper), co-founders of Alcoholics Anonymous. The movie was premiered on US television April 25th and on Canadian television on May 5th. David Huband (Serena’s Dad) now has two upcoming films for 2010 and another for 2011. 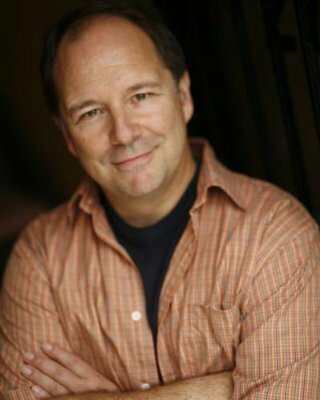 We previously reported that he will be appearing in Running Mates, as Father McDonough, set to premiere later this year and in Dream House, as officer Nelson, set to premiere in 2011. Later this year he will also be appearing in a short film called Animal Control, as a vet. The film is about Larry, an eccentric amateur taxidermist whose only companions are the animals he’s stuffed. All three films are currently in post-production. We will be sure to let you know when we have information about release dates. Rino Romano (Tuxedo Mask #1) can be heard in the upcoming Spider-Man: Shattered Dimensions video game as the 3rd Spider-Man. The game will be released on September 7, 2010. He can also be heard in the film Get Him to the Greek, which is currently in theatres. The film is about a record company intern who is hired to accompany an out-of-control British rock star to a concert at L.A.’s Greek Theater (description from IMDb). We previously reported that Harvey Atkin (Bumboo/Pox) will be appearing in Barney’s Version. A trailer for the film is now available for viewing on Youtube, but the language is a bit mature/suggestive so our younger readers may want to avoid this one. No release date yet, the trailer only says “coming soon.” Rating not yet available either. Norma Dell’Agnese (Prisma) appeared in the premiere episode of the Canadian comedy Dan for Mayor. The show is about a slacker in his early 30s who ends up unintentionally running for mayor of his town. Fans may recognize Fred Ewanuick, who plays the protagonist, as he was previously a recurring character on another Canadian comedy show, Corner Gas. Robert Tinkler (Rubeus) can be heard in Beyblade: Metal Fusion as the hero of the series, Gingka. Gingka and his friends take on a group known as the Dark Nebula who want to conquer the world (an extended description is available on ANN via the link above). Toby Proctor (Tuxedo Mask #2) joined in on the Canada Day festivities in the township of Scugog, Ontario. The celebrations were hosted throughout Palmer Park and Water Street. Fish TV held a sports celebrity weigh-in in the afternoon. Toby was joined by comedian Russel Peters, actor Aaron Douglas, and Brian Skinner of the LA Clippers. 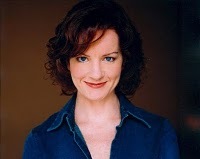 Tracey Hoyt (Rini #1) appeared in an episode of Living in Your Car as Nurse Cohen. the episode, entitled “chapter four” first aired on May 28th. Fans can catch the series on HBO Canada. Description from IMDb: The story follows Steve Unger, who was caught cooking the books and now finds himself legally forbidden from working in any position that involves “other people’s money”. Clinging desperately to the last vestige of his former self – his luxury sedan – Steve hopes to begin anew. Shunned by family and friends, under court order to teach an ethics class to other “fallen angels,” Steve now makes his home inside his luxury car. Propelled ahead by his needs and whims, trying to simultaneously help and exploit everyone he meets, Steve attempts to survive in the land of the have-nots and at the same time somehow resurrect the charmed life he once had. 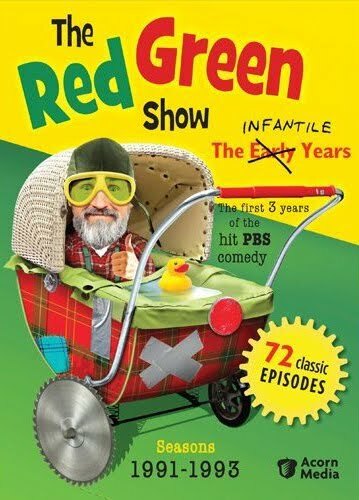 The Red Green Show: The Infantile Years – Seasons 1991-1993 is now available on DVD. The Canadian comedy show includes Jeff Lumby (Professor Tomoe) as Winston Rothschild, III. Sabrina Grdevich appeared in an episode of Cra$h & Burn called “Bond Blame Baptize” as Nicole Asher. The episode debuted on February 4th. We’ve already seen Katie Griffin on this show too. Maybe more of the voice actors we know from Sailor Moon will appear later? Full episodes are available for viewing on the Showcase website here. David Huband (Serena’s Dad) is playing officer Nelson in an upcoming film called Dream House. The thriller is about a family who moves into a house that seems wonderful at first, until they learn of a brutal crime committed against the former residents. 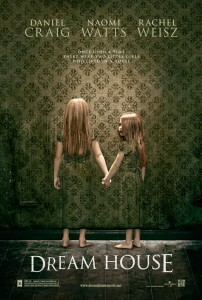 Currently filming in Oakville, Newmarket, and Toronto in southern Ontario, Canada; the film is expected to be released in 2011. Harvey Atkin (Bumboo, Pox) played Rabbi Goldstein in an episode of 18 to Life, a Canadian comedy about neighbours with opposing viewpoints who become family when their teenage kids get married. Filmed in Montreal, the series started airing in January. The episode featuring Harvey Atkin was aired February 8th. Episodes are available online via the CBC website. Emilie-Claire Barlow (Sailor Venus #2) has been commenting on her recent Juno nomination. From The Globe and Mail: “I think the only way to get any perspective on that is to travel outside the country. Travelling in Asia and Europe, [people say that] there’s something going on with Canadian musicians, especially female jazz singers. When I do travel overseas, people say there’s such a talent pool of Canadian female jazz singers.” And from Exclaim News: “It’s nice to be invited to the party and this means another round of publicity. I’m up against Diana Krall though,” she laughs. Vince Corazza (Allan/Tuxedo Mask #2) is spotted voicing Caesar in the White Knight Chronicles PS3 video game, currently out right now. The fantasy role playing game begins in the kingdom of Balandor, where a princess’ coming-of-age banquet is raided by an evil organization called Magi. A boy called Leonard grabs the princess’ hand and leads her to safety in the castle cellars, where he finds a suit of armor that transforms him into the White Knight – an ancient warrior with the strength to defeat Magi’s forces (description from Wikipedia). Thanks to Freddie Jay Francis for the tip! Stephanie Beard (Rini #2) will be appearing in two upcoming movies. The first, A True Story. Based on Things That Never Actually Happened…And Some That Did, is about two friends who own nothing and share everything, including a screen play. The second, Not Quite College, is about three guys in their fourth year of junior college. Both films are currently in post-production. You can find out more about these films at the Facebook group for 1st Team Entertainment. David Fraser (Grandpa Hino) plays Karl Rove in the upcoming Casino Jack, coming to theatres in 2010. The thriller stars Kevin Spacey and is about what happens when the schemes of a Washington DC lobbyist and his protégé lead to corruption and murder. David Huband (Serena’s Dad) will be appearing in Running Mates, a movie about two best friends running against each other for mayor in their home town, in 2010. 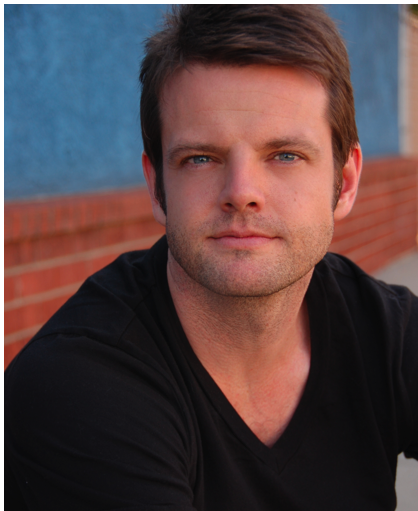 Toby Proctor (Tuxedo Mask #1) will be appearing in US television series The Bridge which is slated to air in the middle of the 2009-2010 season. It’s a police drama about a street cop who is tired of the political motivations in the police department and becomes the head of the police union. You can see the trailer here. We will be sure to let you know when we have more information about the premiere date!